The color green. (For St. Patrick's Day, of course). I did this with my Crochet Clover Pots and 'Green' Crochet & Sewing Projects post. I call this goal a success! Not spending the green. I set out to not spend any money of craft supplies this month. I succeeded! Now, I didn't get done as many projects as I wanted. Some things like not having a the correct size zipper prevented me from starting some projects. Hopefully I can continue the trend of not overspending on materials and just buying necessities in April. Using (and repurposing) what I have. Not spending money on supplies made me use what I already had. My Bunny Clutch and my Crochet Stash Basket made use of materials I already had. That being said, I didn't get to do any repurposing or refashioning in March. 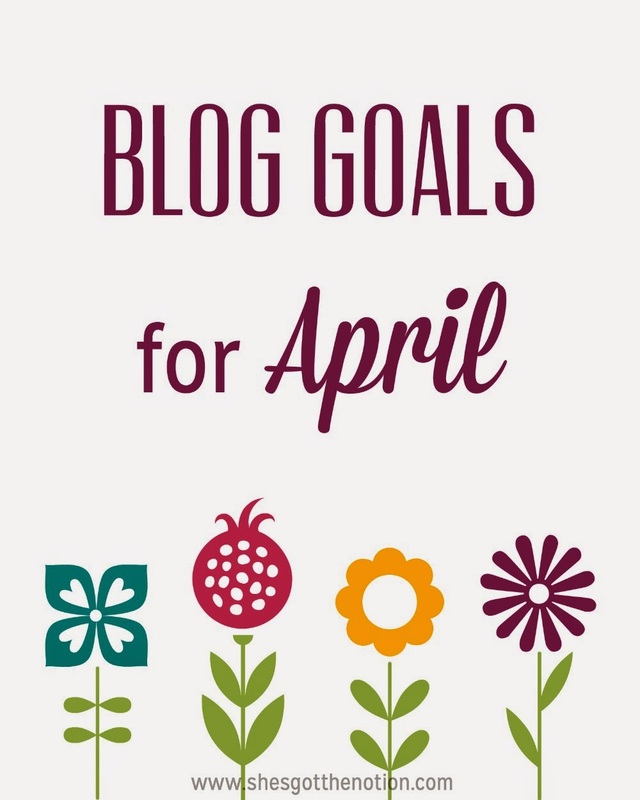 I'd love to make that my goal for April! Overall, I'm most proud that I didn't give in and spend money on craft supplies in March. I hope that habit of using what I have sticks with me. What I was disappointed with was that overall I had less posts than in February (11 vs. 12), especially since February was a shorter month. Hopefully I can get a better pace going with my projects this month. March did, however, bring some popular posts, specifically the Crochet Clover Pots and the Crochet Stash Basket. 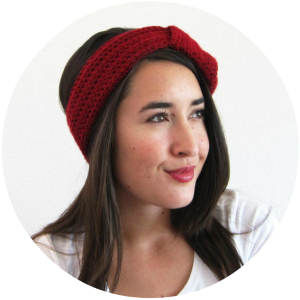 I hope I can continue and get better writing crochet patterns because the response has been so positive! I still have some projects I organized from last month to get to! Now let's get to April. You know the saying "April showers bring May flowers"? Well, unfortunately California is in a drought so there might not be many showers here, but I like the idea of the showers being a way to start over fresh. So April is going to be all about renewing & refreshing. 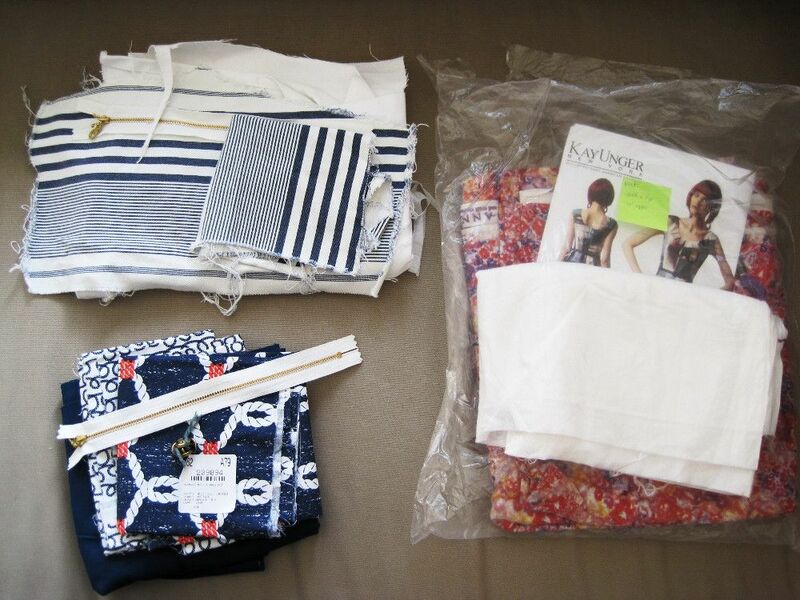 This will hopefully be some home dec projects to give my apartment a mini makeover. I want to refresh my wardrobe too. I'd love to do some refashions and, *gasp*, start sewing some of my own wardrobe. Only buying notions. No new fabric or yarn this month! I still have pllllenty. However, for some projects I want to do I need to purchase some zippers, bias tape, buttons, etc. Do some refashions. My Bermuda Shorts to Shorts and Adding Metal Rings to a Bikini were two of my favorite tutorials I've done on the blog. I want to do more tutorials like those. I'm starting to pull out my spring and summer clothing, so I'm going to keep an eye out for clothes I can give an upcycle. Sew some clothing. I really want to start sewing more of my own clothes. If you've read my About Me, you know why I might have been turned off clothing making a bit. But I have lot of fabric that I purchased in the past to just for that reason...and it's just sitting in my fabric stash. Time to get it out and start making my own custom wardrobe! That's it for April. Just 3 goals because I want to real focus on them (sewing clothes is a big one!). I have to confess I've been a bit of a pattern collector, but I have a habit of not actually using them. I've only used a couple in my collection. I'm mostly scared off by fitting issues. It's pretty difficult to fit a bodice on yourself! 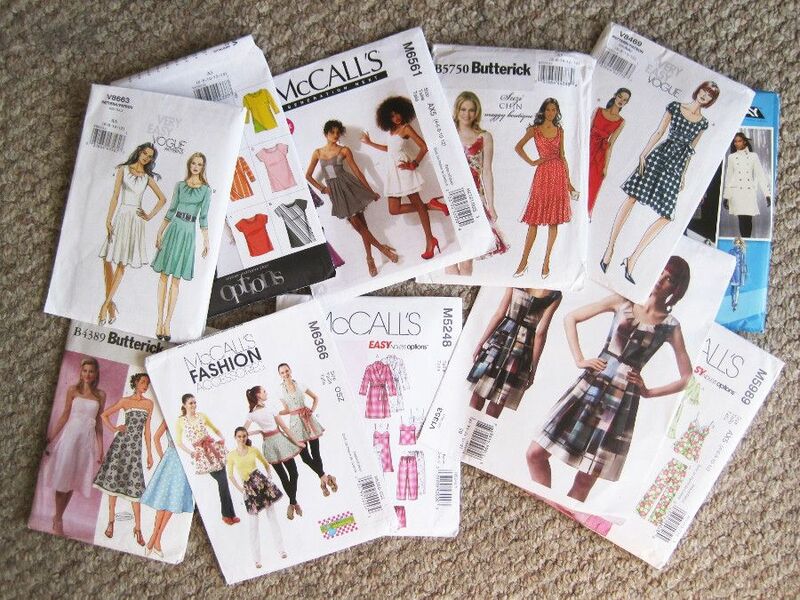 This is just some of my patterns I own too, since a also have some PDFs. I excited for the new projects and tutorials I will add to the blog this month, and hope you are too! Make sure to follow me on social media (links in sidebar) or follow me on Bloglovin' to never miss a post.